“Lady, Be Good!” kicked off the New York City Center Encores! series with two entertainment lessons — one about how the modern musical-theater developed, the other about what, make that who — has been missing. To anyone who doesn’t know the significance of its history, the 1924 musical comedy that the Gershwin brothers wrote for the Astaire siblings is just a ridiculous trifle with a few marvelous unrelated songs — most famously, “Fascinating Rhythm” — and a nonsensical, often tiresome plot about plucky rich people temporarily out of money. But as Rob Fisher, expert founding music director of the series, explains in the program, the show was a big step away from the operettas and extravaganzas of the time. Written while George Gershwin was bursting genres with symphonic jazz, you can even hear hints of “Rhapsody in Blue” in the lovingly reconstructed orchestrations. 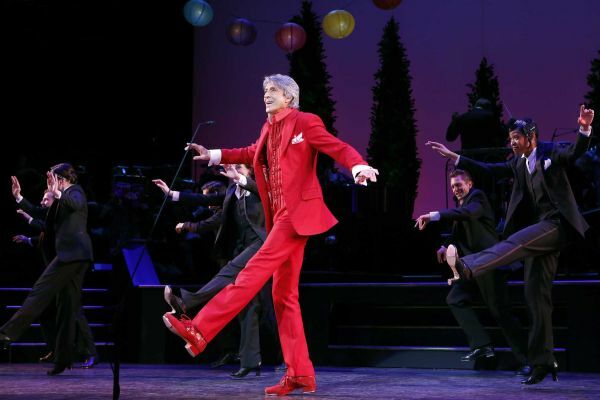 Then, too, since the mission of the series is rediscovery, it seems very right to find Tommy Tune back tapping and singing in a New York theater for the first time in far too long. Tune, the last of the generation of dance-driven Broadway visionaries who defined the modern American musical from the ’60s through the ’80s, earned nine Tonys for performing, directing and choreographing from 1974-91. Tune’s character is called The Professor in the program, and a partygoer in the story refers to him as the entertainment. But really, in a tradition of the period, the impossibly tall legend simply drops into the show for two magnetizing numbers and, without malice, shows director Mark Brokaw’s pleasant, eager, competent cast the difference between great style and a mugfest. Although no one will confuse them with the Astaires, Patti Murin and Danny Gardner are gifted and game as the siblings who, evicted, go on absurd journeys to recoup their fortune. Randy Skinner’s choreography gives the fine dancers lots of big, traveling steps with their tap and Charlestons. But then there is Tune. Amazing at 75, he is still leading-man handsome with the spirit of an eternal chorus boy. He wears Mad Hatter suits — in-your-face red for “Fascinating Rhythm,” cobalt blue for “Little Jazz Bird-with the casual dazzle of a wit lounging in a stretch limo. With one endless leg, he can heel-toe across the wide stage without budging the rest of his poised self. What we need from him now is a show.